Aesthete| 'es, THēt | - a person who has or affects to have a special appreciation of art and beauty. Established in the Fall of 2015, Aesthete Society is a creative collaborative, dedicated to building a community of global creatives. With a focus and care toward creating interactive art, fashion, and beauty experiences that are open and inviting to a diverse audiences. Aesthete Society works to build an interactive dialogue across multiple artistic platforms and mediums. 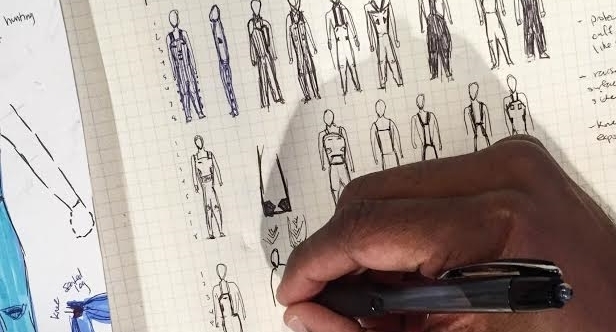 Premiering in the Fall of 2105 at the Portland Art Museum with an interactive installation entitled Amalgamated Allure, a presentation of custom pieces combining bespoke suits with traditional bib overalls. With the first event holding a focus on fashion, the second experience entitled Arabesque, welcomes guests to engage in a new interactive environment, and thus contemplate what the word 'Arabesque,' means to them. By definition you reading this now is an 'Aesthete', a 'Creative'. What fuels your creativity! If you'd like to find out more about our shows, discuss future collaborations, or simply want to say hello, please fill out the form below. Thank you for your message! We will respond to your inquiry as soon as we can.